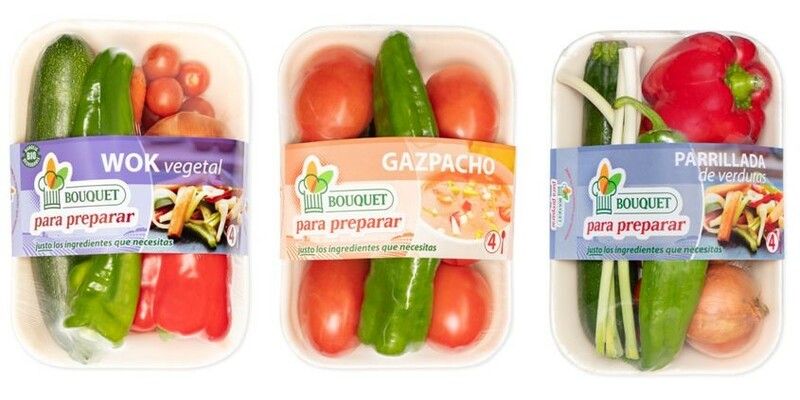 Anecoop’s ‘Bouquet Para Preparar’ (Bouquet to prepare) convenience range will debut in Carrefour hypermarkets across Spain this week. The new label, which was launched at the end of last year, has been on sale in Eroski supermarkets since January and is expected to be available in a number of other retailers later this year. Anecoop also announced that one of its members, Hortamar, has become the latest grower to sign up to produce the range. Beginning in the last quarter of 2019, the Almerian cooperative will supply regional products such as tomatoes, peppers, aubergines, cucumbers and courgettes under the label. Up to now, Anecoop has sourced the raw materials for the line from within the Valencian Community. The Bouquet Para Preparar range comprises a selection of fresh premium vegetables in a biodegradable tray, which allows the consumer to purchase all the ingredients to prepare a dish by following a simple recipe. It includes trays to prepare soups, vegetable dishes, salads and smoothies, such as vichyssoise, pumpkin and carrot soup, gazpacho, and wok and grilled vegetable selections. The trays have an average shelf life of ten days and allow the consumer to prepare a meal for three or four people for less than one euro per person. “By combining the right ingredients, in the correct quantity in a biodegradable container, food and packaging waste is avoided,” Anecoop said.